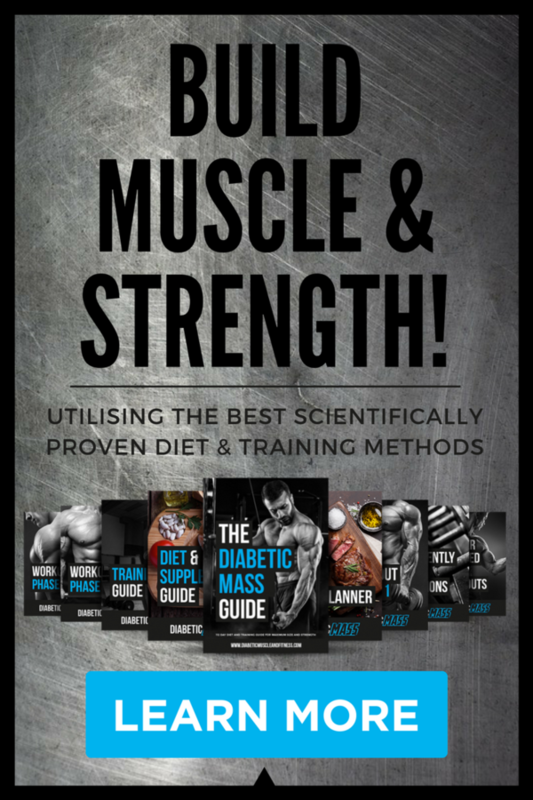 In this article, I want to outline the basic process of how people living with diabetes can increase muscle mass. 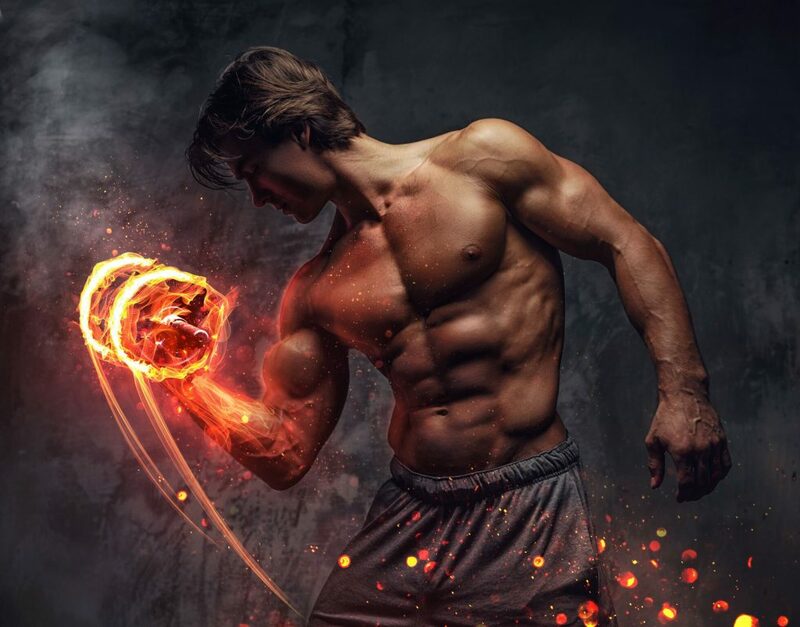 This article is suitable for anyone interested in improving the look of their body, from a fitness beginner right through to the professional bodybuilder, and athlete looking to improve performance. Everyone has the potential to build muscle over the course of their lifetime. Some people are happy with the level of muscle mass they have while others desire more for performance and aesthetic reasons. The ability to gain muscle is highly specific to an individual’s genetics, baseline hormone levels and day to day activity. Many of these factors change as we age, reducing our capacity to gain muscle as we age. In other words, Muscle mass increases as we age up until a certain point. 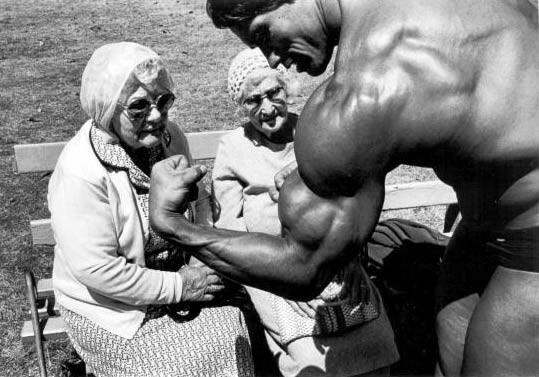 The effect of age on work capacity and muscle growth is a complex and lengthy subject. In fact, there is an hour long video module on the topic on the member’s site. The best way to stimulate muscle growth is regular weights resistance training or loaded body movement. Picking things up (hip-hinge) off the ground. Day to Day Movement Isn’t Enough. None of these movements load our muscles heavily or frequently enough to stimulate gains in muscle mass. Weights resistance training is an incredibly useful tool for increasing muscle mass, especially with diabetes. The intensity (load) and frequency of training determine the stress placed on the body’s musculature and consequently determine how fast muscle tissue is gained. Training means nothing without recovery. When you add something (training wise), you need to add something (recovery wise) from the list above. You can’t keep increasing the training intensity and frequency all the time. There is a cutoff point! You also need to respect the fact that stressors, like prolonged emotional trauma and illness, especially uncontrolled diabetes can interfere with your muscle building efforts. You must minimise outside stressors, and take good care of your diabetes. 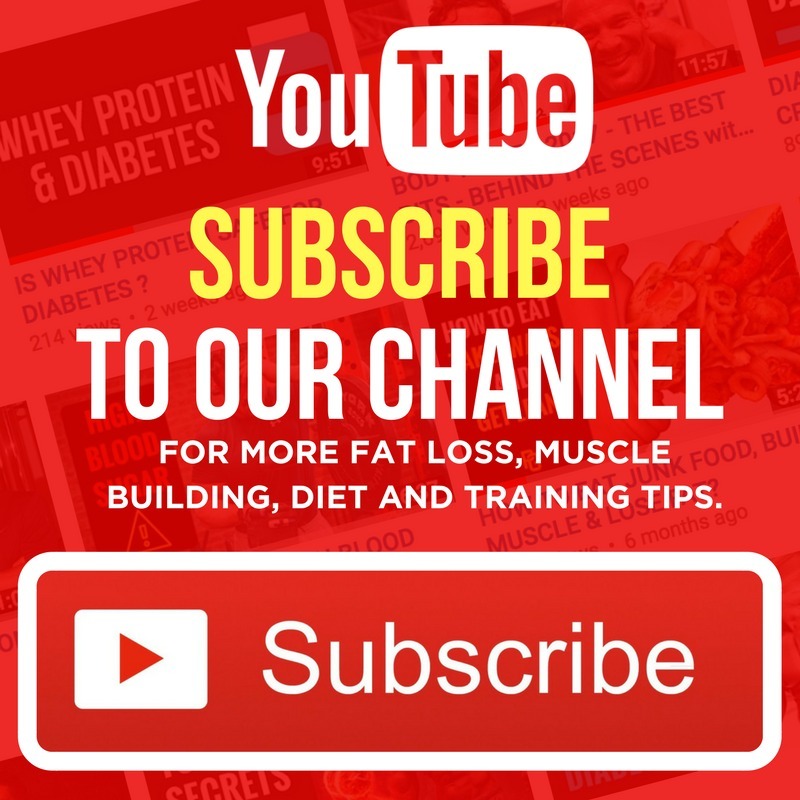 That’s exactly what I teach everyone in DIABETIC MASS and DIABETIC SHRED, the two most advanced diabetes bodybuilding diet and training programs in the world. 3 Facts About Building Muscle with Diabetes. Uncontrolled diabetes reduces your chances of building muscle tissue and increasing physical strength. Here are three important points to consider when trying to build muscle with diabetes. 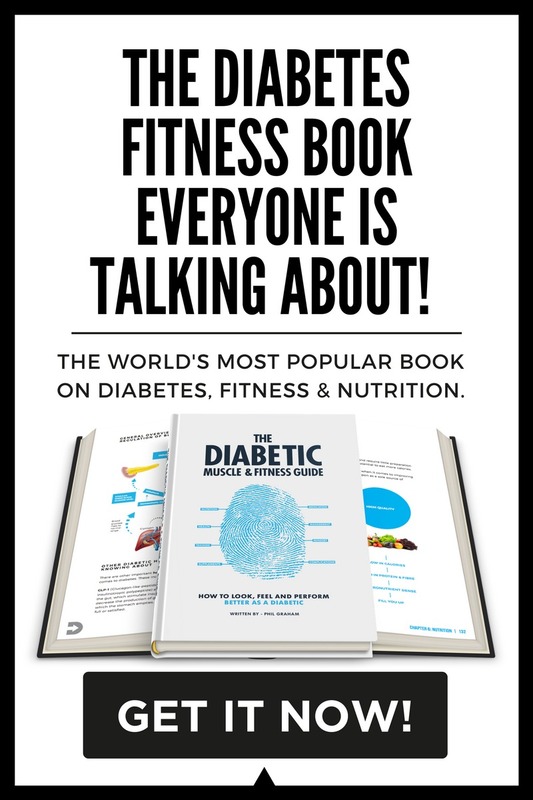 #1 Diabetes is a catabolic disease. Uncontrolled diabetes is a state of undernutrition. Lack of insulin reduces the body’s ability to utilise nutrients (fuel) properly. Hyperglycemia increases muscle protein breakdown and limits the protein synthesis – the process of creating new proteins. On the other hand, hypoglycemia steals energy and mental focus, making training difficult and in many cases dangerous. Obsess over your blood glucose control. Do all you can to keep blood glucose levels in healthy range. This requires dedicated monitoring of blood glucose levels in response to medication and dietary intake. Instead of tracking aimlessly, feedback the data to your healthcare team and do your best to identify patterns when blood glucose levels dip or rise into unhealthy ranges. Anticipate and react appropriately next time round. #2 Be Mindful of the Side Effects of Injectable Insulin. People who rely on injectable insulin can run the risk of taking too much and too little. Too little insulin – hyperglycemia. Too much insulin – hypoglycemia. Aerobic exercise poses the greatest risk for experiencing hypoglycemia due to its low-stress nature and reduced capacity to increase glucose-raising hormones like adrenaline and cortisol, which are typically produced during higher intensity exercise and responsible for increasing blood glucose. Hypos during higher intensity exercise are less likely due to increased production of glucose from the liver. However, if there is too much-circulating insulin, hypos are a real possibility. High levels of insulin (hyperinsulinemia) suppress the action of glucose-raising hormones like glucagon, which normally signal the release of stored glucose from the liver into the bloodstream to rectify low blood glucose levels. This abnormal response doesn’t usually occur in the body of a non-diabetic because insulin production is tightly regulated. Learn to dose precisely. 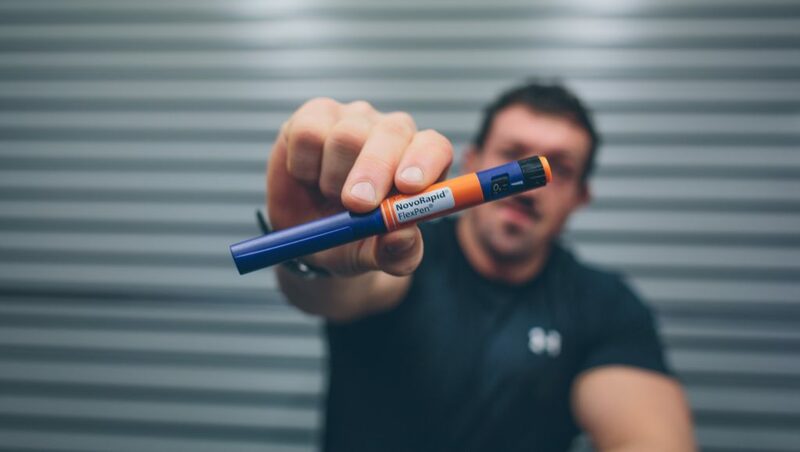 Injecting the correct amount of insulin is a fine art and requires constant monitoring. The more consistent you are with diet, training and lifestyle – the easier it is to pinpoint control. Be mindful of injecting insulin into a trained muscle group. This leads to faster action of the drug and increased risk of hypoglycemia. #3 Keep your head right. Living with diabetes can be stressful. It’s common for people with diabetes to suffer from depression and anxiety. The burden of managing blood glucose levels, injecting in public and complications from poor control (both short and long term) add additional stress to an already stressful modern lifestyle. Not ideal for high-quality living or building a strong muscular physique. It’s incredibly important to focus on what you can control and surrender to what you can’t. As I always preach, there is always blessing in adversity. Being self-aware of stressful situations is important. Take time away from social media, meditate, journal and surround yourself with as many positive people as possible. Doing so will give you a clear mind, and allow for better decision-making. Health starts from within! As I say in my book, your psychology becomes your physiology. You must stay motivated to learn all you can about your condition and empower yourself with the knowledge needed to understand why blood glucose levels behave the way they do. Go out of your way to get accountable to a mixed team of professionals including a diabetes specialist, exercise physiologist, sports nutritionist, psychologist and strength coach. 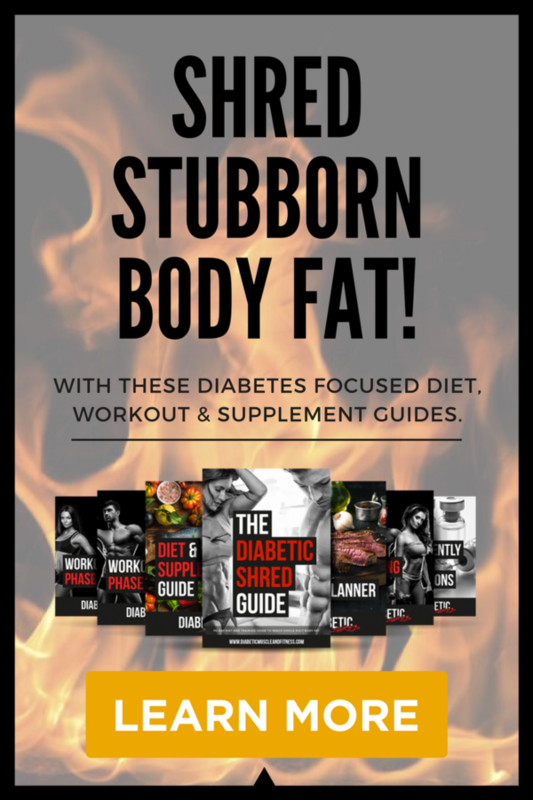 I’ve incorporated all of these important factors (and more) into DIABETIC MASS and DIABETIC SHRED, two complete diet and training systems designed for individuals looking to build maximum muscle mass and shred large amounts of body fat. All the hard work is done for you as the diet, workouts and supplements are all planned out for you. All you need to do is follow them. Really thanks a lot for sharing your thoughts and advise. I am a doctor by profession and a type 1 too . As you shared earlier , and I too agree on the fact that we need to get ourselves motivated every minute to minute in life . Which is really a big task . Anyways I am 32 years old . And seriously wanna build good physique and muscle mass . But not a proper or regular gym going guy . Which I regret a lot . Will start hiting the gym and get back to you . Just wanna say , thanks a lot and take care .. I hope you are enjoying the content! Hi Phil. Short note to say I am so pleased to have found your site. I am type 1, a regular gym goer, 4 times a week. I am never going to look like you but just want a strong healthy body. However I did not realise that high sugar levels hindered my growth, in fact I thought it was better to be on the high side going to the gym !! I have altered my food and insulin regime to suit this week. So, thanks for putting me straight and I look forward to more information, members area etc etc. Thanks for reaching out Neil! They do indeed – keep em tightly controlled! Hey Phil, these articles are fantastic and inspiring. I’m a diabetic type 1 myself, also from Belfast N.I so it’s good to know there’s some good stock from here haha. I’m waiting to try and get your new book but the sites are giving me 2 week delivery times so I thought I would ask you here. Before and/or after exercise when you inject, do you inject a little less than you normally would if you weren’t intending to exercise? And how do you know the amount? Still trying to really understand the dosing for these injections. Thanks! If I was intending to exercise I would dose only according to my current blood glucose and previous meals at the time. There are a host of scenarios to consider before answering this. I have outlined a great frame work for dosing in the book. Phil, I recently tripped over your IG account and then ordered the book as a result! Even though I am not insulin dependent T1, I am hoping I can glean very useful help as I control my T2 solely by nutrition and resistance training… I started BodyBuilding in 2009 at 49yrs old and due to that change I have been off my heavy orals for near 7yrs! I am constantly tweaking my regimens to see what works for me, as there has been no real guide on what to do! I am very much looking forward to learning what I can take away from your success! Awesome Greg! Make sure and keep me updated with your progress. I have diabetes type 2, I’m maxed out on my meds (metformin, Victoza), not taking insulin atm. (Though I may soon have to start because I’m at the upper BG limit and my doctor isn’t happy.) 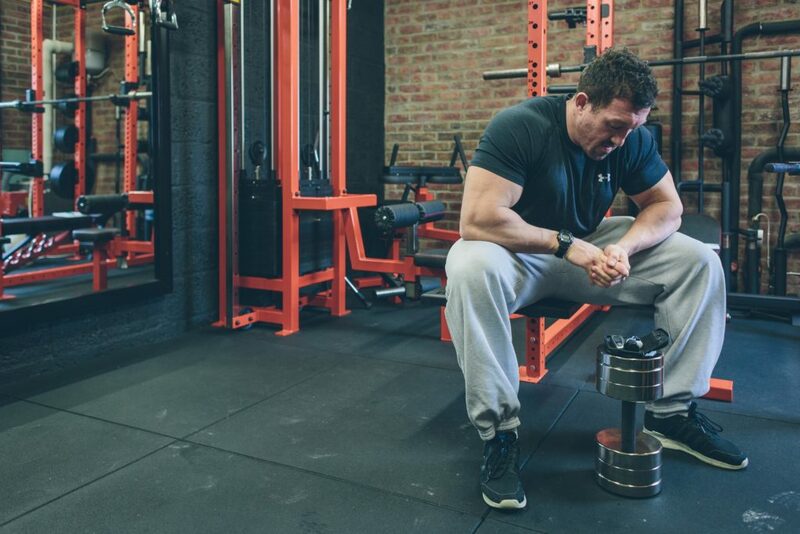 I train 6 or 7 days a week, really heavy but only for about 40 – 50 minutes, as I quickly completely run out of energy, even though taking glucose tablets. In fact I have to sit down between every set of deadlift or squat in order not to fall down. I’m quite cut, can see my obliques and abs, but haven’t really grown muscle mass in like years. I find absolutely no advice online to help my specific situation, it’s all type 1. 🙂 Do you know any resources? If you are not growing you are possible overreached and need to take some time out. Here are a few other elements to consider. – And, like above – you are failing to rest your system. I wrote a great deal on this in the book. Provided your kidneys are healthy and you have great control, there may not be a need to be overly cautious. Strength training also increases the demand for protein. Hence, more reason for lifters to up intake. Keep up the superb work, I read few posts on this site and I conceive that your blog is very interesting and has got bands of wonderful info . You are one of d biggest inspiration for the people..well i m type 2 diabetic..lost my weight around 20kg..well becam so lean..now my weight is 60kg..want to gain little weight nd muscles..jst guide me..thank you phil..God Bless you.. It has everything you need to know on building muscle with diabetes. A large part of this will depend on the leucine and other amino acid content of the protein source. Whey, in particular, can spike blood glucose levels and often requires insulin to prevent high blood glucose. Then again, you need to consider activity and background circulating insulin when considering your dose. Having diabetes mellitus since When I was 12 years of age. now, I’m 29 years old, height 5ft 11in. and weight is 53 kgs.I’ve joined gym from last 3 months . but nothing works, my weight is still the same and body too, nothing grows? What should I do? How can I gain muscles and weight both? Make sure and read through all the free articles on the site and check out my Youtube videos. Sometimes before i go powerlifting. Me blood level is high. Most off the time i can controle it before training session. 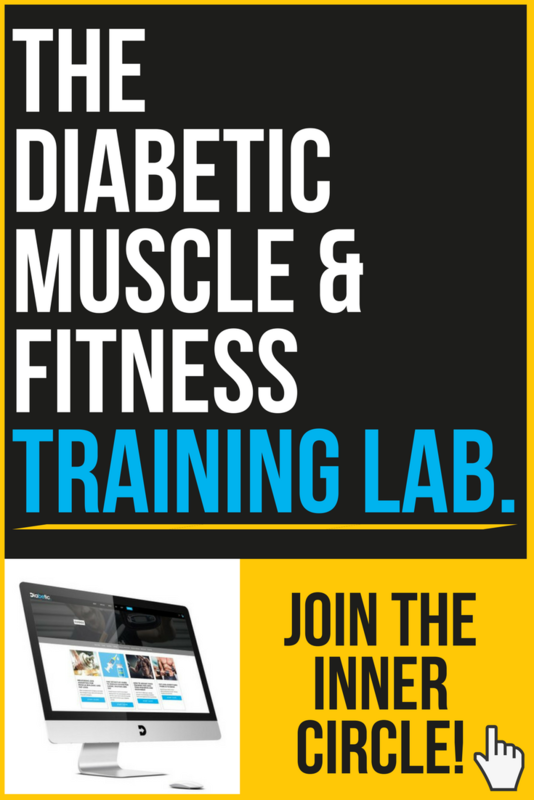 Between which blood sugar you can train or you beter dont train? And what does it do with youre muscle grow of you do train with high sugar?